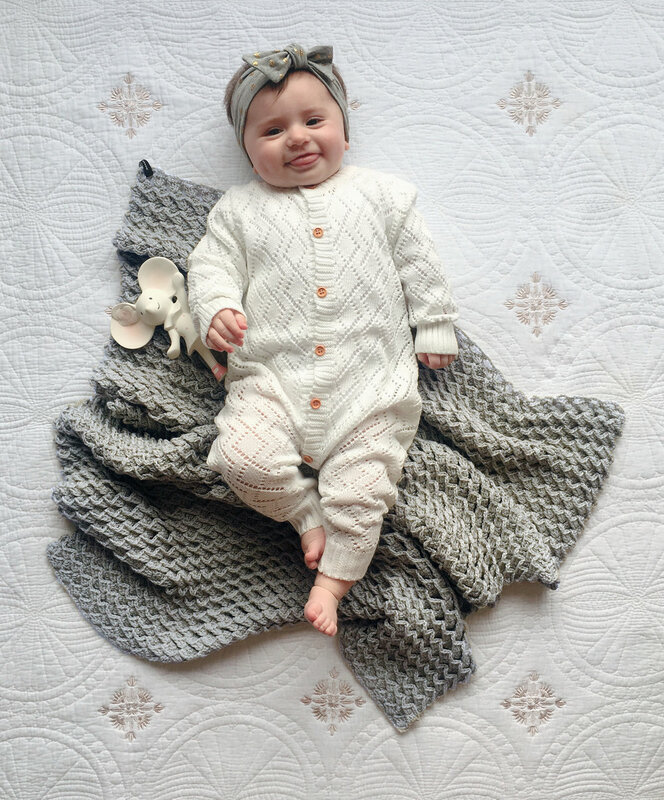 While pregnant with Adira, and after she was born, Moxham was inspired to make her snuggly knitted goodies. Sourcing the most luxurious yarns such as 100% Mongolian cashmere, angora and pure New Zealand merino, Moxham kitted out her bundle of joy for the approaching winter from top to toe. "When I was a child, my go-gettin' entrepreneurial grandmother had an angora knitwear business. She bred Angora bunnies and hand spun their downy coats into yarn. This was then lovingly handmade into garments by a team of local knitters in Wairarapa, New Zealand. Her company was called 'Mademina'. I was honoured when she said that I should create under this moniker, hence the title of this collection." 'Moses Basket Weave', Hand crocheted baby romper, 100% angora, size newborn. 'Seashore Romper', Hand crocheted baby romper, 100% angora, sizes 9-12 months. 'Peaches Jumper', Hand crocheted baby jumper, (Peach) 100% Mongolian cashmere, (Cream trim) acrylic, size 6-12 months. 'Snuggled Cot Blanket', Hand crocheted 3D stitched baby blanket, 100% Mongolian cashmere, 4ply- 445g weight, Seafoam, 1300 x 690mm. 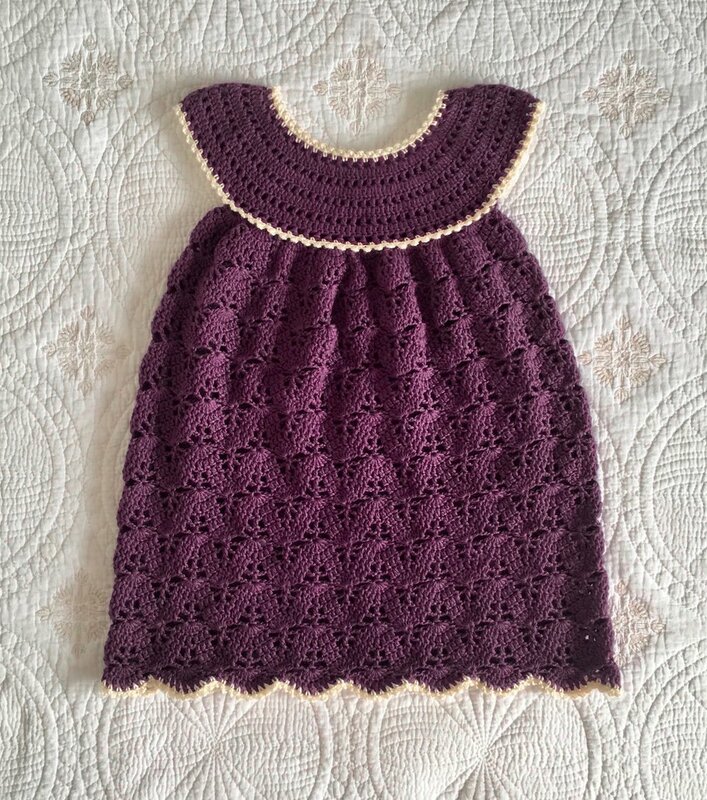 'Pineapple Dress', Hand crocheted dress, (Purple) 100% Mongolian cashmere (Cream trim) acrylic, Grape, size 2- 3 year old. 'Candy Cable', (Cream), Hand crocheted baby jumper, 100% Mongolian cashmere, sizes 0-3 months. 'Candy Cable', (Seafoam), Hand crocheted baby jumper, NZ merino, sizes 3-6 months. 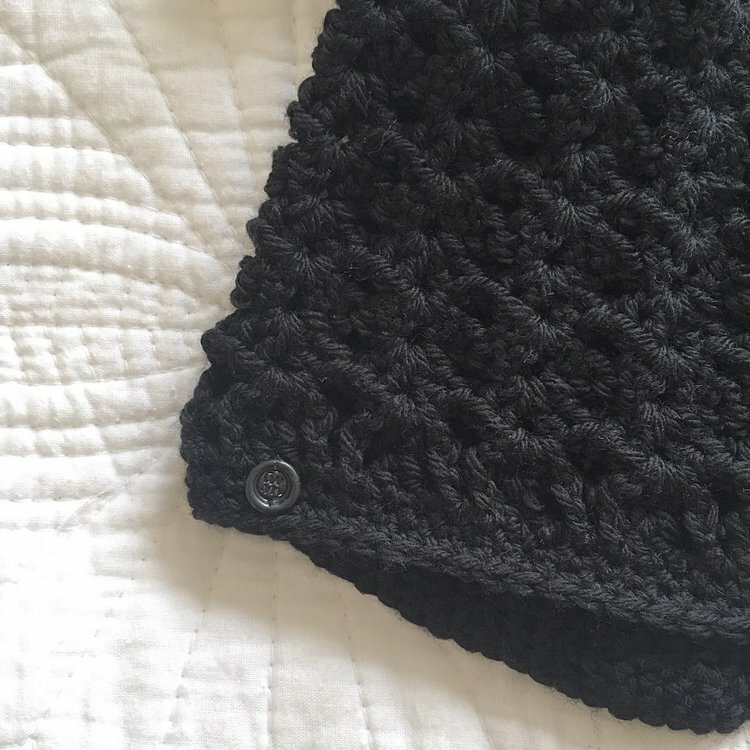 'Minxy Matinee', (Black & Purple), Hand crocheted baby matinee jacket, NZ merino, size 0-3 months. 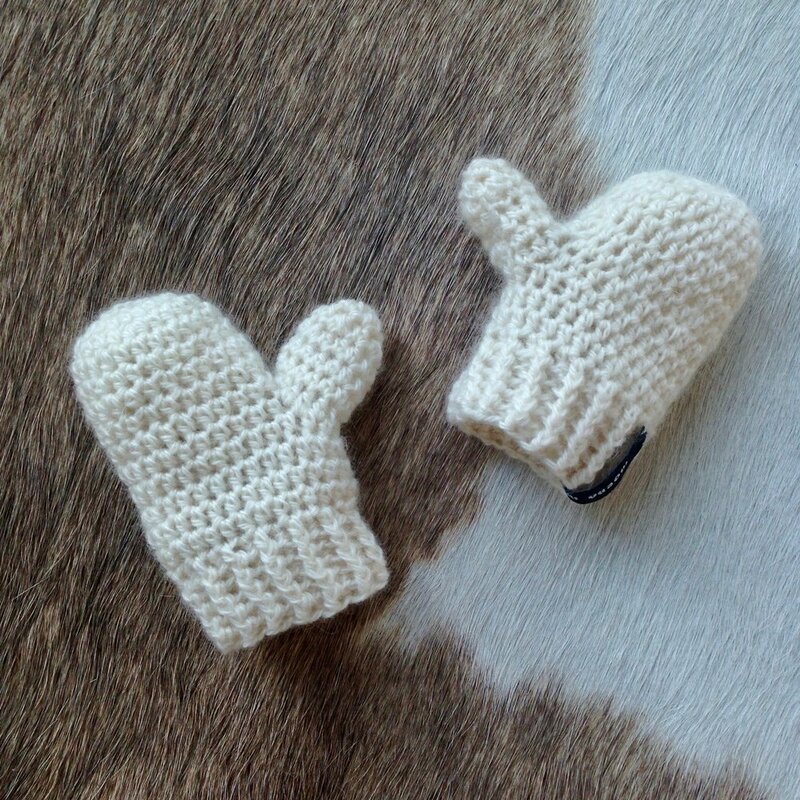 'Scratch-Miffins', Hand crocheted newborn mittens, 100% Mongolian cashmere, size newborn. Hand crocheted baby sox and booties, cotton, size 0-3 and 3-6 months. 'Miffins', Hand crocheted baby mittens, 100% Mongolian cashmere, sizes 6-12 months. 'Swaddled', 100% cotton crocheted blanket, 918 x 1080mm, 2017.